Provide comfort for the family of Marzelle McCollum with a meaningful gesture of sympathy. Mrs. Marzelle Jones McCollum, 79, of Cartersville died on Monday, March 25, 2019 at Redmond Regional Medical Center in Rome. Born in Cartersville on July 18, 1939, she was the daughter of the late Mike W. Jones and the late Myrtle Martin Jones. She was preceded in death by her son, Rodney McCollum; her brother, Roy Jones; and her brother-in-law, Lloyd Buchanan. Marzelle was employed as the office manager for Cartersville Monument until her retirement. She attended Zion Hill Baptist Church. Marzelle was an outgoing person who never met a stranger. She was a loving wife, mother, and sister. Survivors include her husband, Byrd McCollum; her son and daughter-in-law, Nick and Juliana McCollum, her grandchildren, Caroline McCollum and Geoffrey McCollum; her sisters, Charlotte Buchanan, Maxie Roberts, and Vickie Mulkey; and her nephews, Mark Buchanan, Michael Fowler, Matt Fowler, and Blake Mulkey. Funeral services will be conducted at 11:00 a.m. on Friday, March 29, 2019 at Zion Hill Baptist Church with Reverend Jonathan Padgett officiating. Interment will follow in the church cemetery. The family will receive friends from 5:00 p.m. – 7:00 p.m. on Thursday, March 28, 2019 at Parnick Jennings Funeral Home and Cremation Services. Parnick Jennings Funeral Home and Cremation Services is honored to serve the family of Mrs. Marzelle McCollum; please visit www.parnickjenningsfuneral.com to share memories or to leave a condolence message. 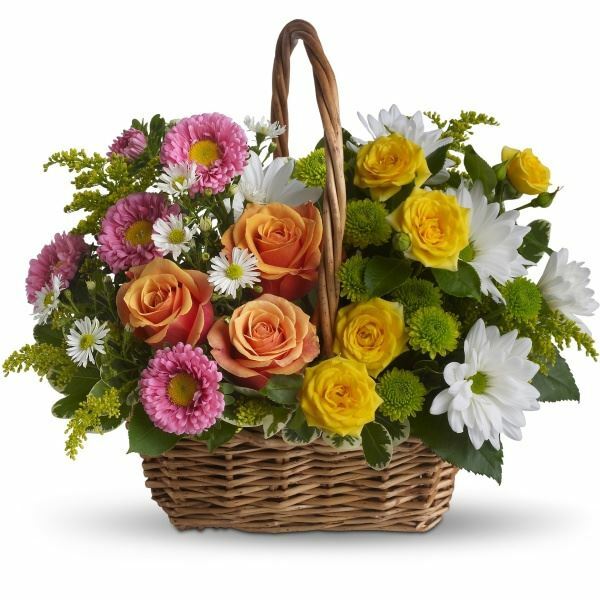 To send flowers in memory of Marzelle McCollum, please visit our Heartfelt Sympathies Store. Donations are being accepted for: GIDEONS INTERNATIONAL. We encourage you to share your most beloved memories of Marzelle here, so that the family and other loved ones can always see it. You can upload cherished photographs, or share your favorite stories, and can even comment on those shared by others. Juanita Little and Family and Love, your Sage Hill family have sent flowers to the family of Marzelle McCollum. Juanita Little and Family purchased flowers for the family of Marzelle McCollum. Keep heart, Nick. We are sending you peace and courage. Love, your Sage Hill family purchased the Sweet Tranquility Basket for the family of Marzelle McCollum.